Lielborne Manor is the only manor complex in the territory of the Nature Park “Daugavas loki”- a UNESCO World Heritage Site, right on the two rivers’ intersection. There is the old castle, built in the 18th century, as well as the new castle built in the classic style in the first half of the 19th century. Situated at the place where the Borne river flows into the Daugava, Lielborne Manor offers a unique environment. It combines both the possibility of enjoying the picturesque landscape of Daugava and an adventurous walk along the Borne River. In the manor park, which spans both sides of the Borne river, are two orchards – an oak and an elm. There are also larches and unusually beautiful pine trees. The walking path leads both along the steep river and its slopes. There is also a romantic view on both banks of Daugava, the mill ruins, the waterfall and the mill pound. This is a good place to enjoy a meal. You can also relax in a natural setting while your children are having fun in this well-equipped active rest place. It’s time to admire the natural beauty of Latvia. Plan your best summer weekend at Lielborne Manor! Have a look at our brand new and exciting weekend program what will take you away from Riga! 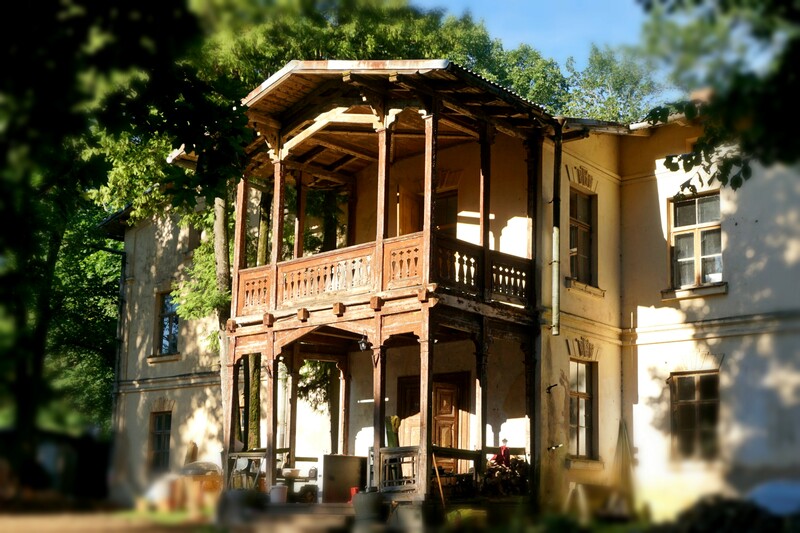 Spend amazing 2 days at one of the most beautiful regions of Latvia – Latgale, live at the historical Lielborne manor and enjoy a lot of eco-tourism options offered. During 2 days you will pamper yourself with a lot of positive emotions, practice Russain in an informal yet friendly environment and will explore the beauty of Latvian nature. The program runs from May 2019 until September 2019. See detailed weekend plan.